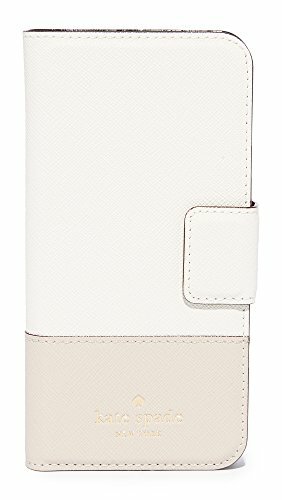 A two-tone saffiano leather Kate Spade New York iPhone case in a folio design. A magnetic tab lifts to open the front cover. The interior contains a card slot, a mirror, and a hardshell phone case with button, cord, and camera cutouts.